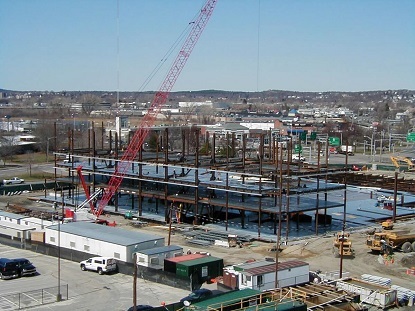 Complete packages include structural steel, steel joist, metal deck and miscellaneous metals as well as your choice of either open shop, prevailing wage or union erection crews. 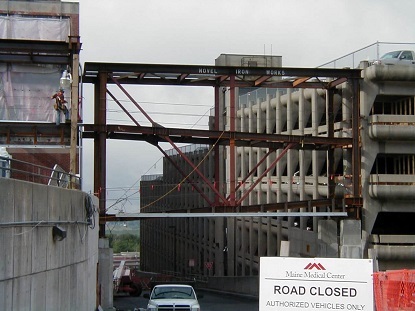 Novel Iron Works Inc. is a second generation family owned company that has been furnishing and erecting structural steel, steel joist, metal deck and miscellaneous metals since 1956. 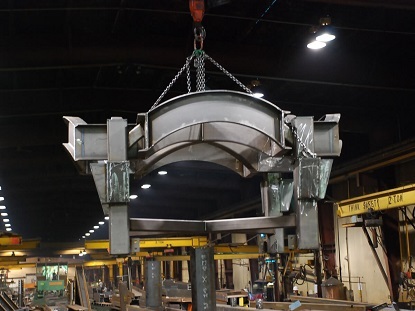 By recognizing and anticipating the continually evolving market place as well as understanding the individual needs of our customers, Novel Iron Works continues to maintain its high standards and quality of fabrication in this ever changing industry. Novel Iron is constantly looking at new technologies in the industry to improve accuracy, consistency and delivery time while maintaining a competitive price. Track changes, revisions, specialty items, galvanized items, steel members on hold, etc. by running various reports through the SDS/2 software. Our Project Engineering and Management Department oversees and coordinates all phases of the project from fabrication to erection. A complete package, from budgeting to bid estimates. Our fully staffed Estimating Department has over 225 years of combined experience. For over six decades, Novel Iron has been manufacturing the highest quality Division 5 products at competitive pricing and with on time delivery. From Estimating to final Erection our experience enables us to undertake any project. From residential house beams to shopping malls to pyramids for pharmaceutical companies we look forward to each and every challenge. Your workmanship has not gone unnoticed and we are very pleased to have had the Novel team on this project. Your team has been an asset to this project reflecting in the completion of the job.